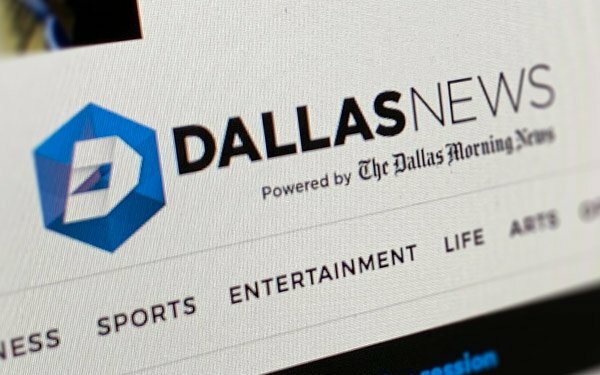 The Dallas Morning News has let go of 43 staffers, including 20 newsroom employees. Veteran culture critic Chris Vognar, who had been with the for 23 years, was among the staffers. The cuts were made to make room for investments in technology and The Dallas Morning News’ digital products, as its parent company, A. H. Belo Corporation, faced declining print subscription revenue. “After considerable thought and analysis, our management team has determined that our business in the future is largely supported by subscription revenue and the need for more aggressive investment in our digital products,” stated Morning News president-publisher Grant Moise. The company will be “creating 25 roles’’ to drive the new digital positioning, stated CFO Katy Murray. According to a story in The Dallas Morning News published yesterday, revenue for Belo declined nearly 20% through the first nine months of 2018, compared to the same period the previous year — from $184.55 million to $149.77 million. Per Pew Research Center, there has been an aggregated loss of 45% of newspaper jobs in less than 10 years, from about 71,000 to 39,000 in 2017. Newspaper industry revs have also seen a sharp decline, from about $50 billion in 2006 to an estimated $16 billion in 2017. In other Texas newspaper news, Dan Goodgame, most recently vice president for executive communications at cloud computer company Rackspace, has been named editor-in-chief of Texas Monthly. Goodgame has previously served as editor of Fortune Small Business and was a White House correspondent and Washington bureau chief for Time magazine.